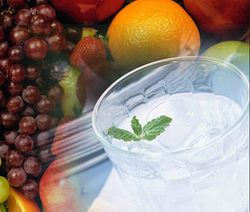 Being ISO 22000 certified We specialise in the production of a comprehensive gamut of Synthetic Soft Drink Concentrates (Emulsions) that stand high in terms of quality.Our Soft Drink Concentrates are well proven with the Beverage Juices and other releted Industries. This Gulkand Syrup has a subtle sweet flavour and will surely satisfy taste buds. with Amla to give you a fizzy natural taste. Organization is acknowledged in the domain as one of the leading suppliers of Strawberry Juice. 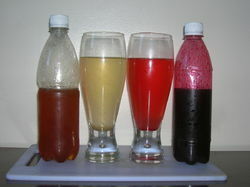 In order to meet excellent quality standards, we are supplying a wide range of Lemon Soft Drink Concentrate.